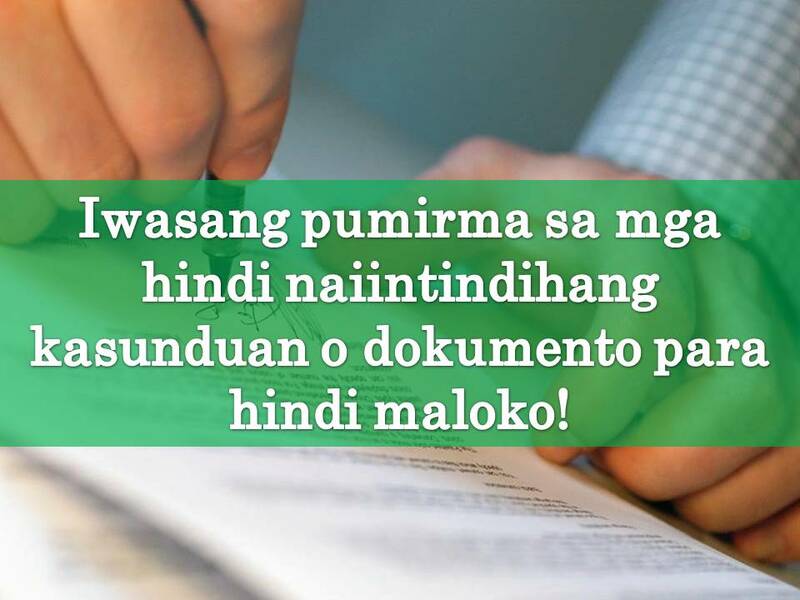 If you are an OFW, be careful on getting an OFW loan abroad. HUNDREDS of jobless Filipino workers remain in Saudi Arabia and cannot go home yet due to their unpaid debts in the Kingdom. According to Vice Consul Alex Estomo, head of the Philippine Consulate's Assistance to Nationals, there are some retrenched OFW that is facing this kind of problem. 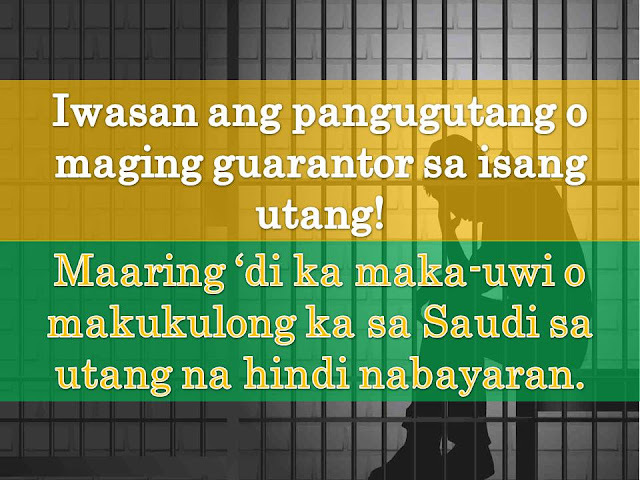 HUWAG BASTA BASTA MAGING GARANTOR SA PANGUNGUTANG SA IBANG BANSA LALO NA SA SAUDI ARABIA. Estomo confirmed that there are cases filed against this OFW for their unpaid debts resulting in the non-issuance of their exit visas. And the only way they can go home is to pay their debts. 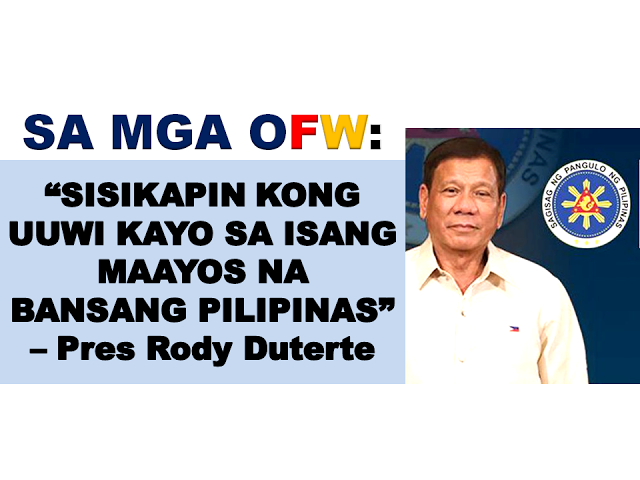 Due to this, he advised OFWs to avoid taking a loan from lending companies or sign documents that they could not understand. 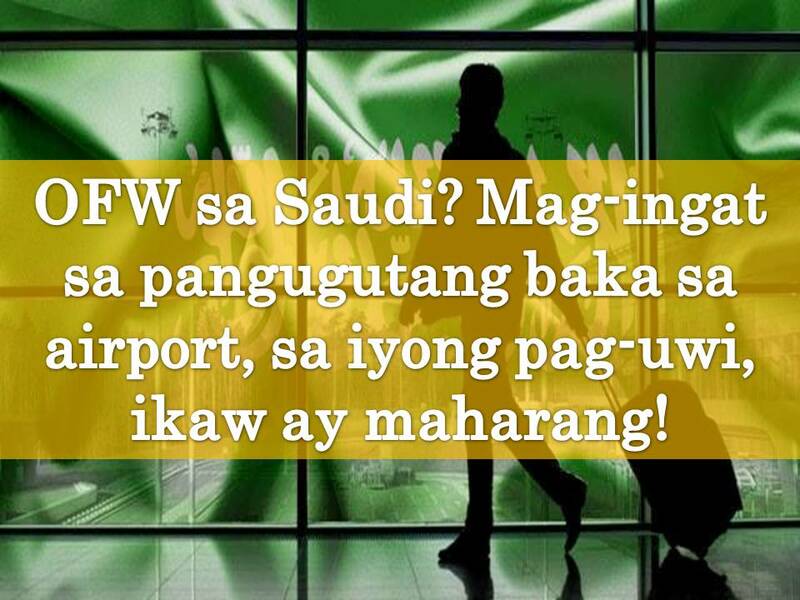 One of 300 OFWs in Saudi Arabia who cannot go home due to debt is Darney Dupitas. Dupitas said he is not aware of his pending debt until he applied for an exit visa. "Nagulat na lang ako nang mag-file ako ng exit na hindi na ako ma-isyuhan ng exit visa dahil nga sa utang. Lumalabas na ang utang namin ay 17,000 at na-deduct sa akin at natira ay 12,000 kaya nga wala kami pambayad nyan," he said. 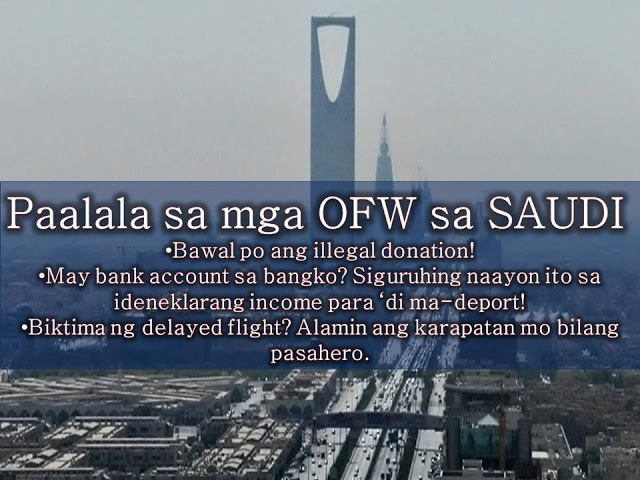 Another OFW who refused to be identified said he has a 14,000 SAR debt that he only learned about recently. "Nakapagbayad po ako ng 3,000 SAR tapos ang nakalista sa akin ay 17,000 SAR. Ili-less po ang 3, 000 kaya may babayaran pa akong 14,000 SAR. Ang sabi nung ahente na babae ay aayusin daw ang problema pero hanggang ngayon po ay wala pa ring nangyari," he said. Estomo added that the Philippine officials have already secured the list of OFWs who have outstanding debts. 9 TIPS TO BECOME "DEBT-FREE"! SAUDI ARABIA IS PROPOSING 6% TAX ON REMITTANCES? HOW TO GET 4 IN 1 UMID ID? Who Are Not Included In The OEC EXEMPTION? HOW TO REIMBURSE SSS MATERNITY BENEFITS?